We know that skimping on quality costs everyone more in the long run which is why we only use the highest quality materials and hardware. In addition, we employ the most skilled of tradesmen to do all the construction, finishing, and installation work. A family history in woodworking has given us the wisdom to select the best materials and to perfect the build methods for our cabinetry. 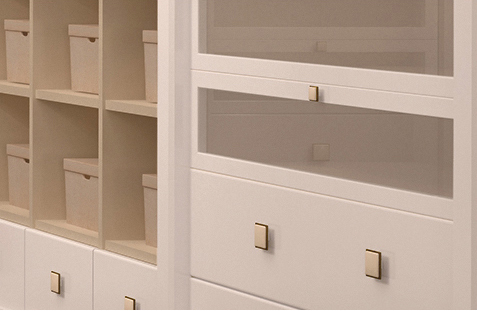 All cabinets are full plywood construction, natural maple or walnut interiors, Blum soft close hardware, and the highest quality multi-step, layered finishing process. We construct the best the industry has to offer. 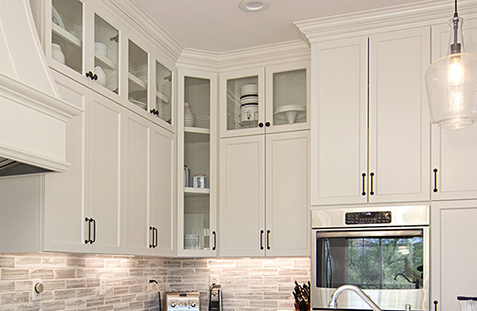 Cabinetry is a big investment in your home. Enduring to thrive as business is only possible if we continue to produce an exceptional product and satisfied customers. This knowledge keeps us highly motivated to stay consciences and consistent in our methods. We build a beautiful product that is meant to stand the test of time. The ability we have to offer such competitive prices has much to do with our processes. Even though we are a custom operation, we function systematically. This allows us to take on a higher volume of work than most other local operations. Our processes and capacity allows for quick turn-around while maintaining a product that we can stand behind. In order to sustain this level of production, we stay true to a system that functions like clockwork. However, we never get too comfortable and stay open to any new changes that can make our systems even more effective. 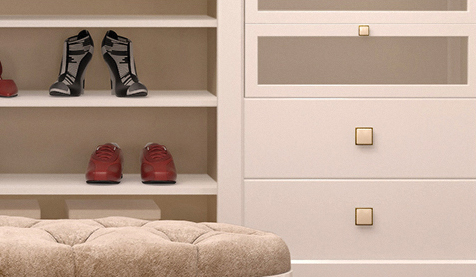 Imagine a space where all your belongings are aesthetically placed and easy to find. Starting and ending your day in a well-organized closet can inspire a more productive lifestyle. Many people dream of a space like this but don’t know where to begin. Well, your dream closet begins with giving us a call. We have experience and can walk you through the process to create a space that best suits your personal items and the way you function. There is a great deal of ritual that goes on inside a bathroom. It is the space to begin and end your day or sometimes escape from the world. You are likely here because you could use a little transformation! How about one that provides you with the pleasure and utility to keep you happy and centered? The good news is, we understand all the important details and honor the many little items that help you become the best version of yourself each and every day. Come on board, let us help you design YOUR ideal space. The kitchen is the heart of the home. It is where family and friends gather, enjoy company and nourishment. As such, in most homes it is well used and should function seamlessly and stand the test of time. Fortunately, this is not our first rodeo! In fact, we are well versed in kitchen design and function in addition to building a product that will be around for generations, if so desired. There are infinite options when it comes to kitchen design, we are here to help you choose the best layout and features for your ideal space…let’s go! Or the study as we like to call it. Let’s get your affairs in order! Not because your time is limited, but rather, to provide you with more time to enjoy the better things in life! Having an office that allows you to work smarter, stay organized, and on track is key to success. Not to mention, these become some of the most beloved spaces in one’s home. Imagine, shelves lined with your favorite books and a desk with drawers and files to perfectly house all your important documents and accessories. A cozy space where work and relaxation can be achieved all at the same time. 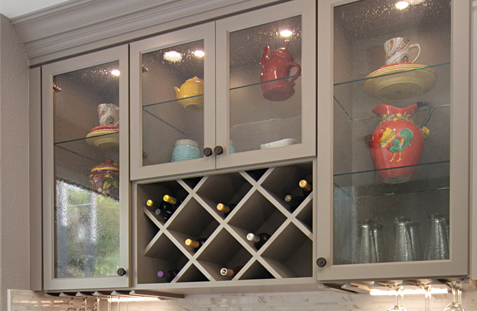 Well-designed built-in cabinetry will fit seamlessly into your home, like it was meant to be there all along. It can serve many functions such as a beautiful statement piece, a subtle integration within the walls surrounding it, and/or a highly functional installation serving the home on the regular. It is the solution to that unusual space you have been pondering, the holy grail of entertainment storage and your very own in home-bar or wine cellar! 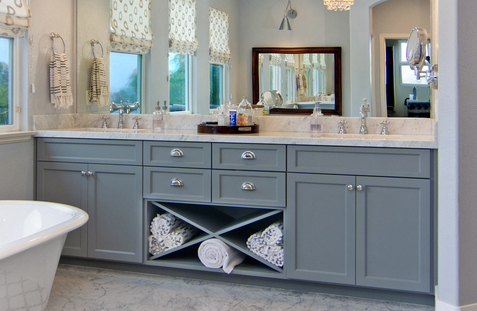 Whatever it is you would like to achieve within YOUR space, our custom cabinetry can deliver with style. 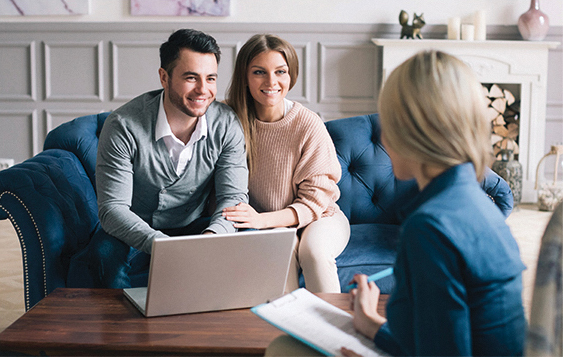 Our process begins with an on-site measure and consultation. This allows us for accuracy according to cabinet construction and to understand your desires, needs and limitations. Just give us a call, we will set up an appointment for you. Initial measurements are stored digitally and sent to our in-house designer who produces 3-dimensional renderings/drawings of your space with the cabinet layout. Once this ready, we will set up an appointment for you to come to our showroom. This will allow you to sit down with the designer go through all the details and make any changes necessary. We use the most cutting- edge technology available, final drawings are uploaded onto a CNC machine to ensure precision of your project. 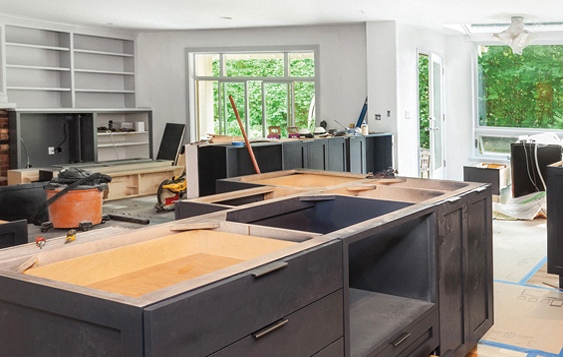 Your contractor will be in charge of demo and preparations for cabinetry. 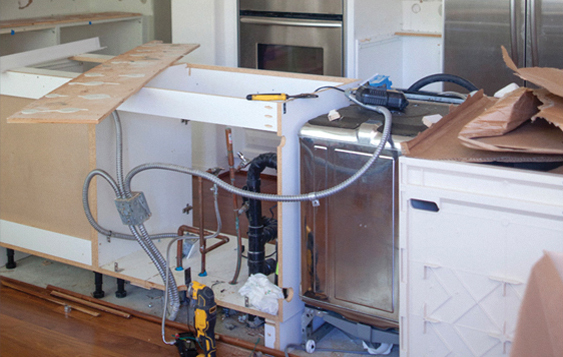 If you are not working with a contractor we can assist you in the demo process for an additional fee, however, this is limited to just removal of old cabinets. You will still need to take care of any other plumbing and electrical necessary. In order to guarantee that every job we do is consistent with our standards, we take care of all installations. Our installers are experts in their trade and understand how to properly fit and navigate through each and every custom space. All of our cabinetry is finished (painted or stained) at the shop, this minimizes the fumes and mess involved in doing it on-site. Upon completion of installation, we only have to do minimal touch ups to ensure all cabinetry is seamless and complete.